(photo courtesy of Irish Trophy Commission). Click to enlarge. Exceptional heads such as those posted recently on various Facebook pages and hunting websites are always worthy of note and quite often reflect prolonged and sustained periods of careful and selective management over time. In the right circumstances the hunters concerned deserve utmost credit and their trophies rightly become favoured mementos of a successful stalk and a reward for patience and restraint in previous years. In other circumstances it is often a case of merely being in the right (or wrong) place at the right time. This is the conundrum faced by all managers of wild deer – and a situation aggravated by a theme emanating from certain quarters, that all deer should be shot on sight for fear of human economic damage (disease, agricultural and forestry damage and other unproven claims). Although there can be little doubt that the deer population has expanded greatly in recent years, mainly due to environmental factors including climate change, at the same time hunter activity and the declared annual cull have increased not just in tandem but at a greater rate. 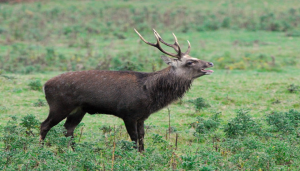 Unfortunately there is also a strong farming lobby which appears determined to attribute to deer extreme levels of damage including spread of bovine tuberculosis from deer to cattle. Despite best efforts by vested interests, the link remains to be proven, and badgers are far more likely to be the cause of contagion than deer, with the “long acre” being consigned to history by modern screening, tagging and testing. The fact is, we have no idea of how many wild deer we have, which makes sustainable management difficult, to say the least. 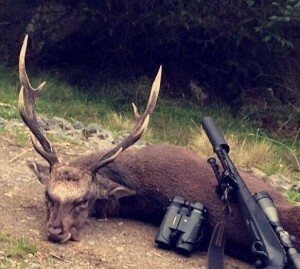 The declared annual cull by licensed hunters over recent years has been in excess of 30,000 to 32,000 deer a year, which just thirty years ago might have the best estimate of the total population. Recently a population of 300,000 was attributed to a spokesperson for the National Parks & Wildlife Service (although no spokesperson is prepared to be identified or to cite sources for this extraordinary figure). Reports from licensed hunters on the ground (who after all number in excess of 4500 and who spend a combined average of up to half a million man-hours on the ground each year) suggest that the figure is significantly lower than 300,000, and probably closer to 120,000 to 130,000. This is still a significant figure and a very measurable increase in population over the last two decades in particular. How to achieve a balanced and sustainable population compatible with human economic interests is the challenge and this challenge will not be met by any unhealthy emphasis on trophy heads. Trophy heads can be the result of efficient management and careful culling, which must be based on control of numbers. Numbers can only be controlled by shooting the appropriate number of female and juvenile deer (including juvenile males), and quality heads will follow when numbers are matched by available food supply (excluding farm and forestry crops). Step One: Know how many deer are on the ground, including approximate breakdown by age and gender. Step Three: Work in conjunction with other hunters, ideally by working as a local Deer Management Group. The Hunting Protocol produced recently by the Manor Kilbride Deer Management Group is a good blueprint. Step Four: Keep accurate records and review cull figures and revised population estimates annually. If these simple guidelines are followed, sustainable local populations of deer will be achieved, problems will be kept in check and quality trophy heads will follow as surely as night follows day. Give promising young males time to develop and give especially good animals the opportunity to pass on their genes. Don’t be in rush to shoot the best head in the herd, because that will make little or no difference to numbers, it will just lead to indifferent quality. Keep your focus on females and juveniles and remember, annihilation is not the objective. This entry was posted in Uncategorized on October 31, 2016 by Liam Nolan. Deer Alliance HCAP finished the 2016 Round of assessments in August 2016. The 2017 Round will commence in March 2017 and details of the 2017 calendar will be published here at the end of January 2017.  Deer Alliance HCAP does not run assessments during the hunting season (September to February inclusive) due to availability of personnel, also due to possible adverse weather conditions for Range Tests. Application can be made at any time, online or in hard copy by post. A list of eligible candidates, including candidates carried forward as No-Shows from previous MCQs or Range Tests, is published on the website in advance of every MCQ or Range Test. HCAP Fees are non-refundable and candidates must, other than in exceptional circumstances, complete the assessment and certification process within 180 days of making application. This entry was posted in Uncategorized on October 6, 2016 by Liam Nolan.